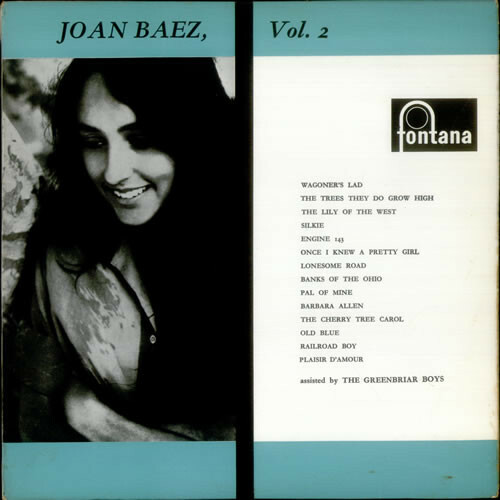 Joan Baez has brought me back to my blog (I've been working on a writing project but I miss the blog). Hello dear reader. It was a sea of white hair and walking sticks were silhouetted against the coloured spot lights. Her white hair glistened too, and I burst into tears as soon as she began, I think along with half the audience. 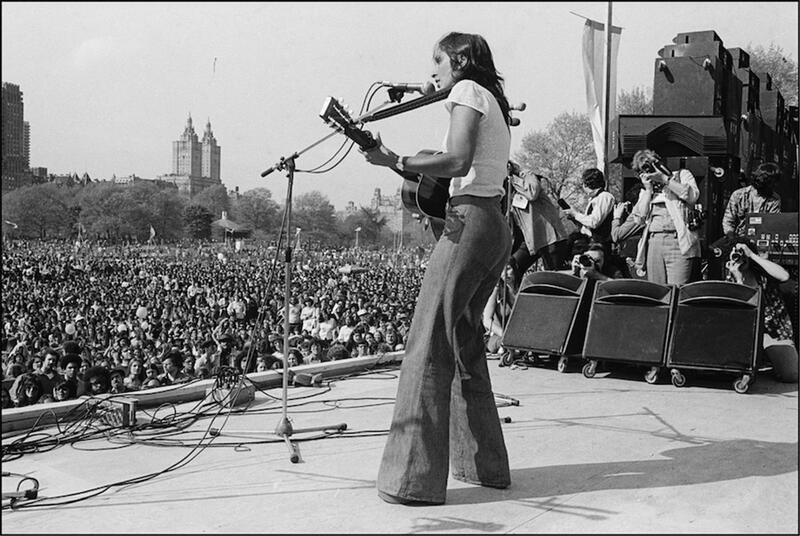 My father introduced me to her music: he always said he loved her spanish songs, less so her militant peace songs. I started listening to her almost 30 years ago, but the people around me in the Albert Hall had been listening to her some 20 years longer. Her voice is much lower now, more interesting and textured than when it was strong and supple and could go anywhere. She can still hit the high notes when she needs to. Her final song Swing Low, Sweet Chariot, was a bowing out, a goodbye. A lot of Gospel is, after all, about death and being reunited with the maker - including this song - possibly a more relevant subject than many of the love songs to the audience gathered there, average age 70. Certainly to my father, who was too unwell to come. 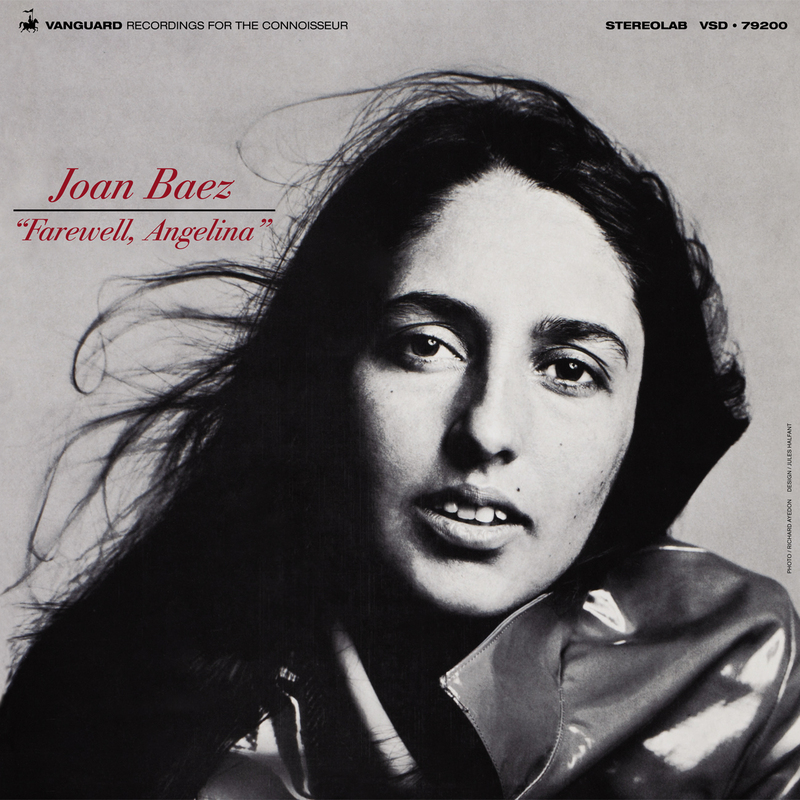 When I first started going to Russia in 1993, I learnt a few Joan Baez songs, so I had something to bring to the table when the guitar came out. I am tone deaf so I would find the easiest songs and learn them note for note. My favourites were: the Banks of the Ohio, Long Black Veil and Gospel Ship. But I’d give Little Darling Pal of Mine a good go, and I was forever trying Silver Dagger. She proved this week, to my relief, that it is basically impossible to sing. Joan may be 77 and more interested in going to bed than falling in love but to the audience's delight she sang Diamonds and Rust - the anger, disappointment and hurt coming through. 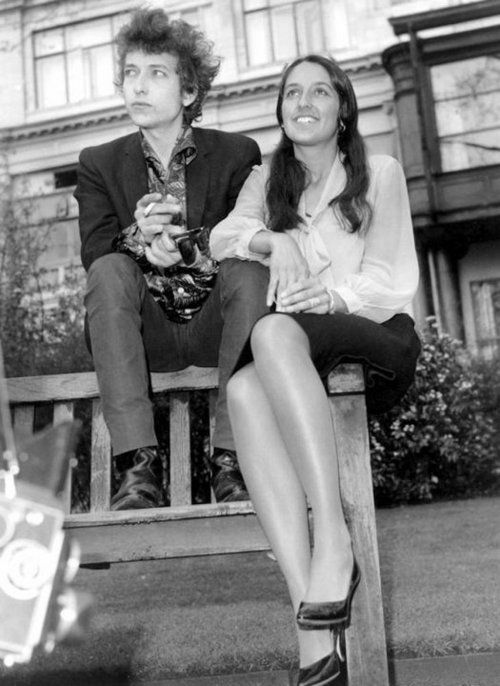 And a sense of injustice that Bob's career went astronomical, unlike hers (tho she can still pack out the Albert Hall). Still a fighter, she praised the Florida students fighting the NRA. She did not mention the present President of the US, instead referring to Obama as ‘my president’. She had a new song about his singing of Amazing Grace, after the shooting in Charleston. 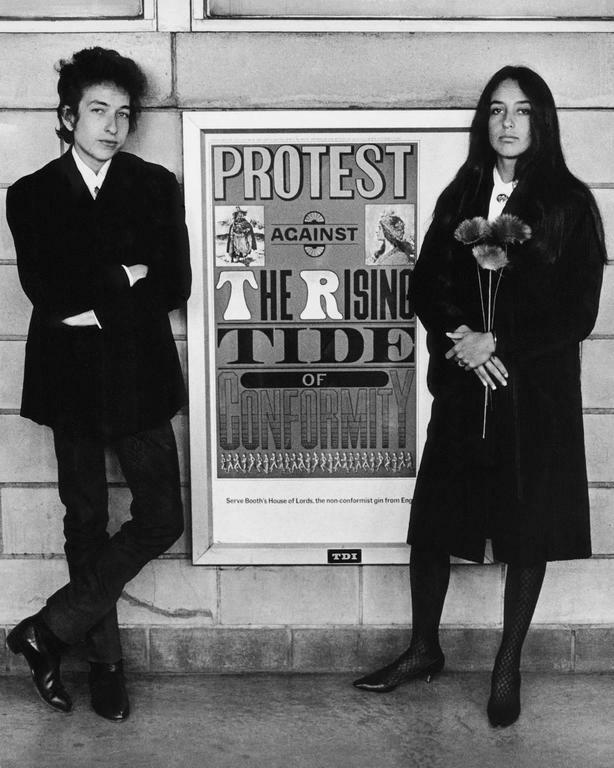 On the way home on the tube I sat opposite several couples of my parents’ age, smiling beatifically as they read their programmes, featuring Joan Baez, dazzling among autumn leaves. I wondered if they were still peace warriors, or had voted for Brexit, or both. I have to say, despite the wonder of St Joan (she practically has a halo and her faith is palpable) I did feel disappointed that the battle anthems are still the same - The Times They Are A 'Changin' etc. It felt more quietist than questing. Nevertheless, her ballads, which are timeless, as ballads are, still serve as a shield and protection, and if anything they are more potent for all the decades of her singing them, and of us listening. She seemed pretty thrilled with the audience and took a panoramic picture of us at the end. Peace warriors post concert (sorry if these are your parents). Fabulous blog! Joan picked me up at a party once in Chicago when she and I were young -- only it wasn't Joan who came back to my flat with me. (Complete story in my unfinished memoirs.) Oh, and Bobby Zimmerman had slept on my floor a year or two earlier. You must write your memoirs Paul!